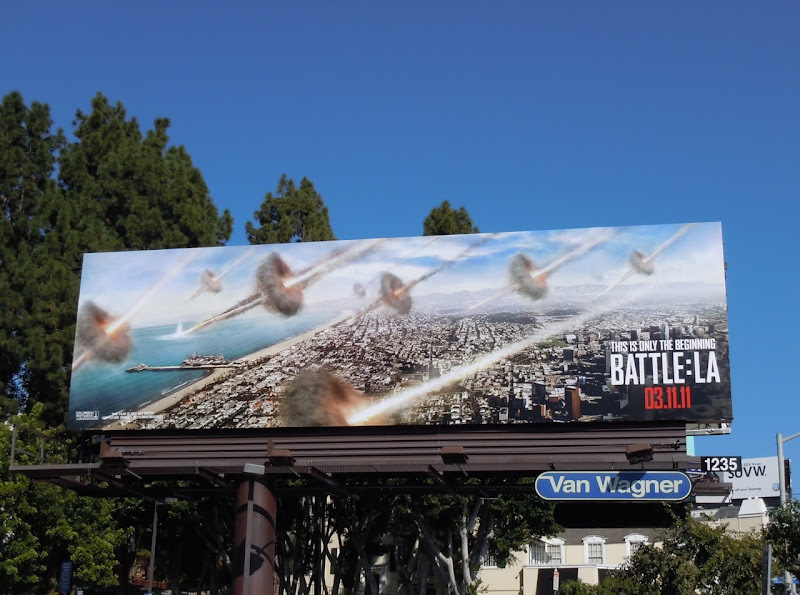 First the whole of Santa Monica shelved into the Pacific Ocean in the natural disaster movie 2012, now it looks like it's all out war in Battle: Los Angeles. 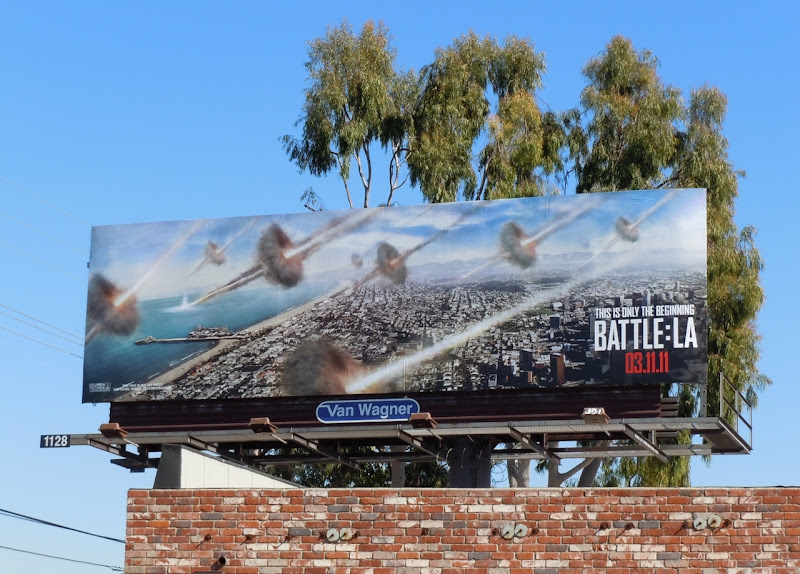 There's something slightly unnerving, but also exciting about seeing a city you live in being bombarded by aliens (I'm sure it's not that much fun if you're living it in real life though). 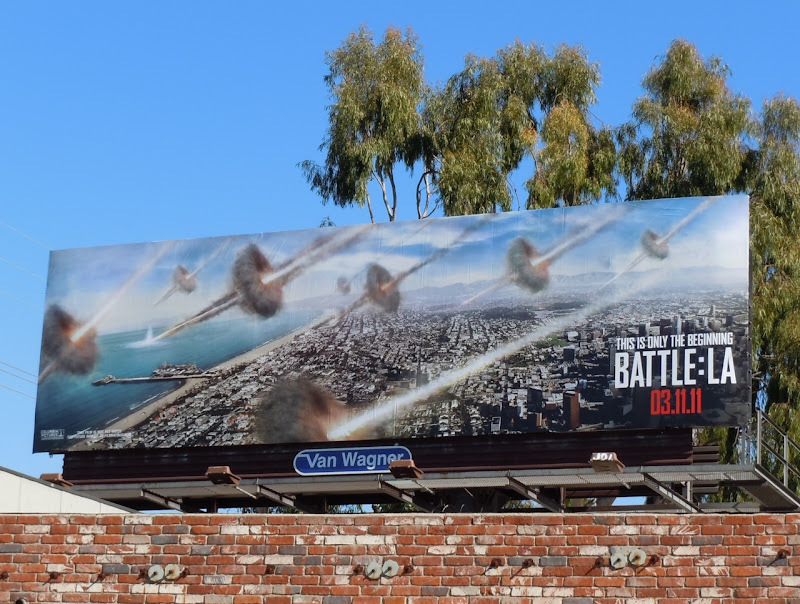 This fantastic city under siege billboard is quite a visual spectacle and was photographed along L.A.'s 3rd Street at La Jolla Avenue and also along Sunset Boulevard on February 14, 2011.